I have the following two pins available, first come first serve. They've been abandoned by they requesters. Standard pickup formula applies. The next drop is here! Festival of the Arts and Minnie Rocks the Dots! Pengy, SpasticDisneyFreak, theoucharis and 2 others like this. So, with zero requests for these pins, I ended up taking the week off. Which means I'll be able to go this coming week for the Star Wars Helmet and Medal of Magic release! I'll post the sign-up for those on Monday. Jack Skellington, Kerri780, Ocean7 and 1 other person like this. Also, for the sake of price updating, the Minnie Rock the Dots was 16.99 and the FotA Logo was still 14.99. I'm assuming most lower release holiday pins and event logo pins will be in that 16.99 slot from now on. The next pins have dropped! 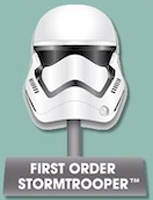 We've got the Star Wars Helmet: First Order Stormtrooper, the WDW exclusive Medal of Magic: Enchanted Tiki Room pins up this week, as well as a "special drop" of the Small World Mystery Set. Special drops will be for open edition pins that I would assume people are interested in. I won't offer pickups for long for them for long, nor will I take names for OEs until they have been confirmed to drop at WDW. Please put me down for the SW helmet. I'll be updating this shortly. cut off time is tonight! 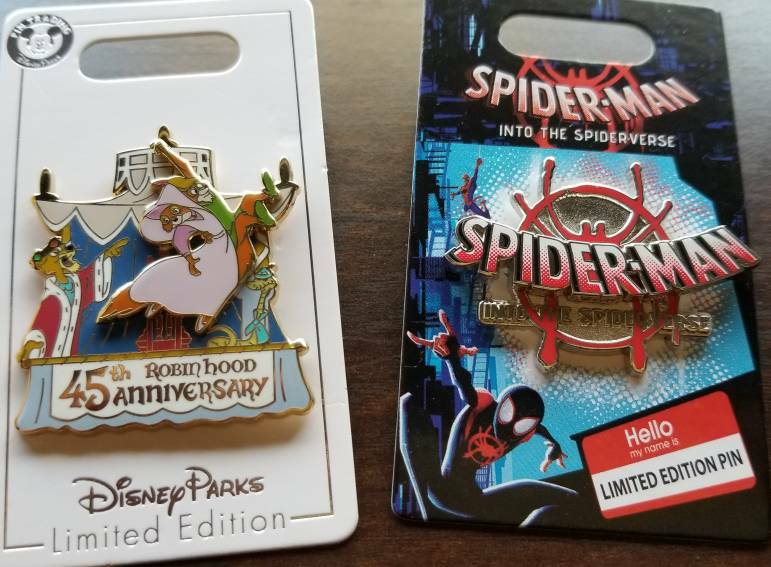 Is the spiderverse pin still avail? I can hold it until then. I'll send an invoice tomorrow afternoon or Friday. Please put me dowm for a helmet. Are the Dumbo record pins still available in the park? If they are, are you able to pick others up? Thank you Merlin! As always you are much appreciated in our household! I'm not sure if the Dumbo are still around. I'll check tomorrow. Randomizer results are set! Here's the picture. It shouldn't be an issue to grab everything tomorrow. I'll keep everyone posted. I was able to get all of the Star Wars and Medal of Magic pins today. @Badockins, I'm afraid Dumbo has sold out. I'll send out invoices tomorrow! The next drop will be on Monday for the Peter Pan Pop-Up, the Mermaid Valentine, and Lunar New Year 2019 pins. Sorry for the delay! The pins for this week have been posted for requests! May I request a pop-up Peter Pan, please and thank you. Can I please request Lunar New Year pin? Thanks. Please put me down for the Peter Pan pop up. Thank you!